When I was a kid I loved canned stew. My love became so well-known that people started giving it to me for my birthday. Yep, canned stew for my birthday and I was excited bout it. At some point, my palate matured though and I lost my zeal for canned stew. (That or hit my lifetime limit on how much canned stew my body could handle.) For a long while I even avoided all stews. Then a nice crockpot version wandered into my life and I fell in love with stew all over again. It was hearty and comforting and made the world seem right no matter how much snow was piling up outside or how long the week had been. Clearly, the next step was taking it on the road. 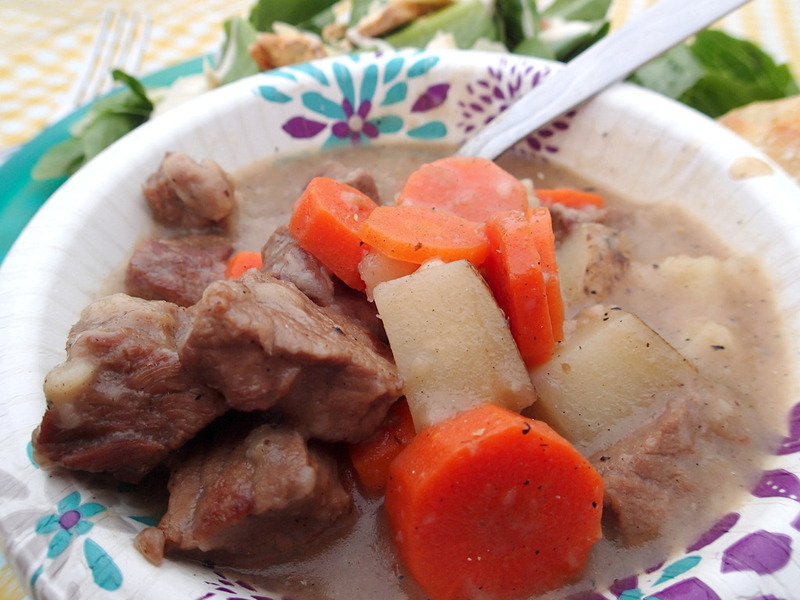 We whipped this stew up on our last camping trip and it was well received by our crew. It’s just the sort of comfort and replenishment you need after a long day in the wilderness. 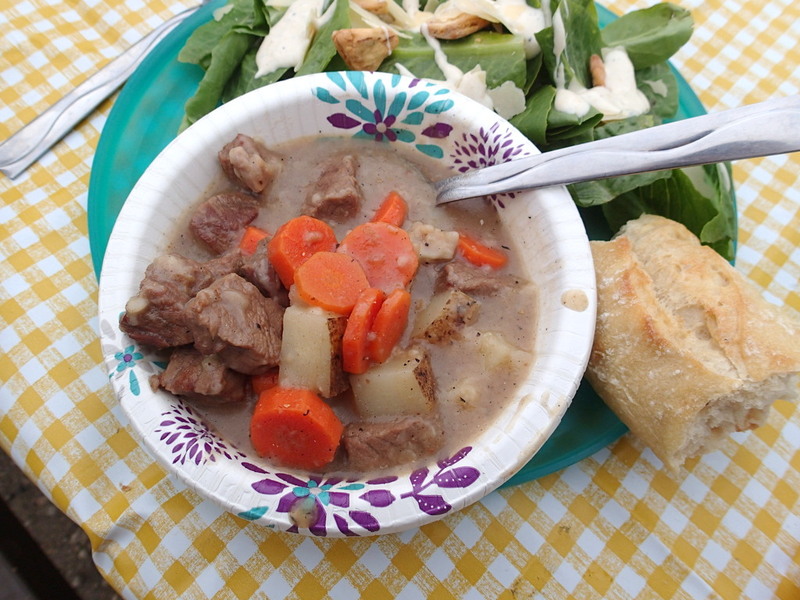 A hearty stew made in the dutch oven. 1 lb beef Any cut of meat will do, this recipe isn't picky. 1/4 C oil we used canola. Pack the chopped meat, chopped vegetables, and remaining ingredients. Place the oil in a 12" dutch oven and heat either over coals or on a camp stove. Brown the meat (don't cook all the way through) seasoning generously with salt and pepper. Add red wine and scrape up bits off the side of the pan. Add the water and bouillon. Transfer the dutch oven a ring of 10 coals if you were browning the meat on a camp stove. Drain the water off the vegetables and add them to the dutch oven. Cover with a lid and put 14 briquettes on top of it. Cook for 60-90 minutes or until the meat has reached your desired tenderness. Replenish the coals as necessary.